This statistics illustrates the year-on-year percentage change of turnover of retail internet sales in the Netherlands from 2014 to 2017, by category. 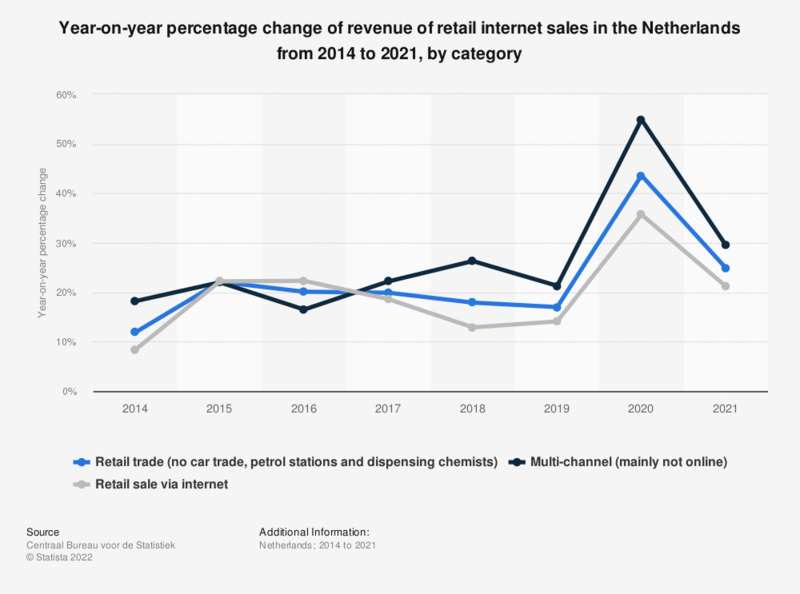 As of 2017, the turnover of retail trade internet sales in the Netherlands grew with a rate of 18.6 percent when compared to the previous year. The source notes: "Change in turnover indicates the growth rate with respect to the same month of the previous year as a percentage. Statistics Netherlands calculates this on the basis of non-rounded figures."